Car theft has become a serious problem throughout London. It only takes a few seconds for your car to be stolen. The official advice given by police is to keep your vehicle locked and remove all valuables from it. However, this is not enough to prevent you losing your car to thieves and becoming yet another statistic in the rising demography of car crime. 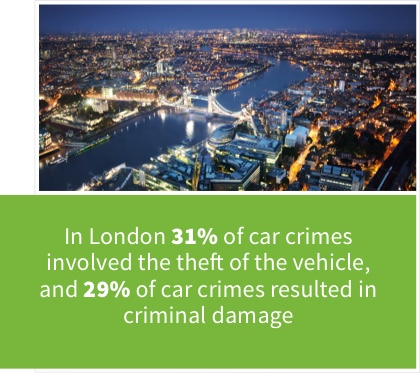 Every area of London has been affected by the rise of grand theft auto offences. 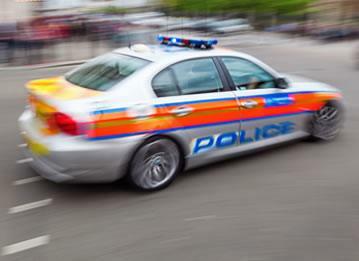 The highest frequency of car crimes occurred in EC2 (1228), WC2 (1169), WC1 (1159) and W1 (1099) postcode areas. The areas with the least number of thefts were KT6 (77), KT9 (77), BR4 (75) and UB11 (68). Suzuki was the worst brand victim of car crime in London. There were 501 Suzuki offences per 10,000 registered vehicles. The other most affected brands were LDV with 348, Citroen with 328 and Peugeot with 303. The least affected car company brands were still victims of car crime. These were Morris, which had only 33 offences per 10,000 registered vehicles reported; Subaru (59) and Jaguar (89). Without a GPS tracker your car will potentially be lost forever. A car tracker from Trackerfit will recognise any illegal movement using advanced motion tracking technology. 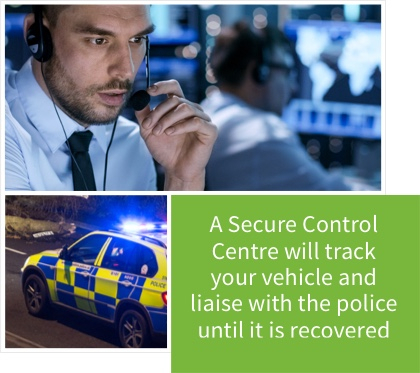 When you report your car stolen, a Secure Control Centre will begin tracking your vehicle and will liaise with the police until it is recovered. 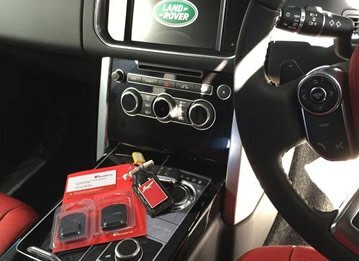 Using one of our GPS trackers is an ideal solution for recovering a lost or stolen car as car theft can cause irrecoverable damage. However, with a reliable GPS tracker your vehicle's location can be found and you need no longer be the victim of a crime. 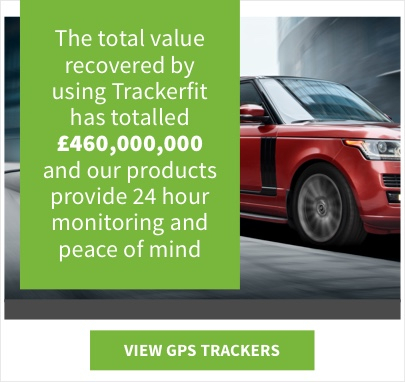 The total value recovered by using Trackerfit has totalled £460,000,000 and our products provide 24 hour monitoring and peace of mind. The range includes the SmarTrack Protector Pro, RAC Trackstar TM470, Vodafone Protect + Connect 6 and Tracker Monitor. 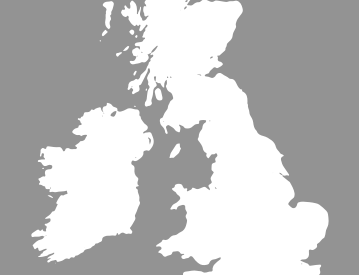 All trackers are insured with European coverage and are Nationwide approved. 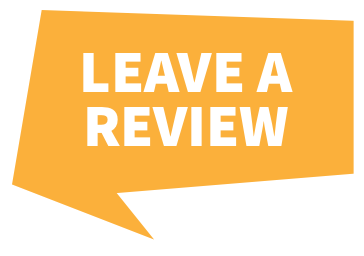 They are fitted by approved installers and come with a 2 or 3 year warranty. Our innovative, reliable product range is powered by GPS/GSM or VHF Technology. Customers need never worry about power issues: battery backup, low battery alert and battery disconnect alert are included. 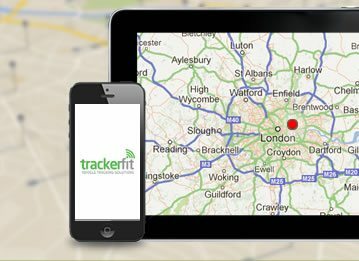 If you need advice on how GPS trackers London can help you, contact us today.